This double roller bowling bag from Columbia is a great mid priced bowling bag. The Columbia Icon Double Roller bowling bag is made of 600D fabric, has room for 2 bowling balls, shoes, and accessories. 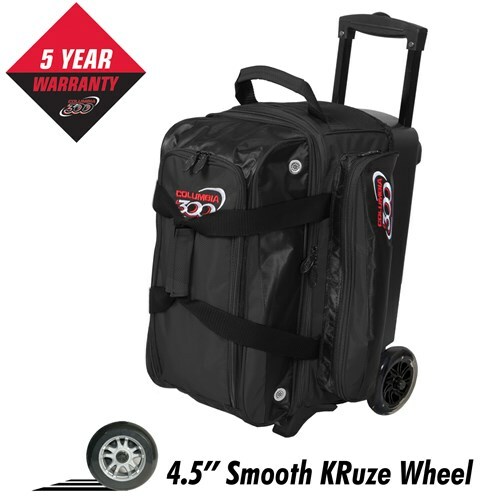 The color coordinated wheels and handle give this bag a little something extra. Due to the time it takes to produce the Columbia Icon Double Roller Black ball it will ship in immediately. We cannot ship this ball outside the United States.